I love Moleskine journals. I use a small pocket one for making quick notes, measurements, book titles, and lists. I use a big one for taking notes at meetings, journaling, drawings, and as a scrap book for ticket stubs and other ephemera. 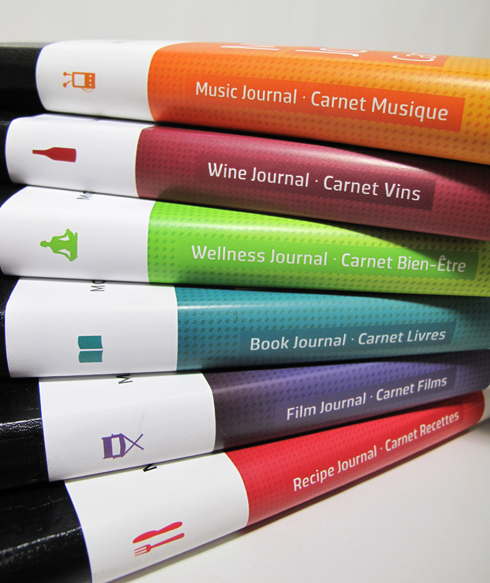 Moleskine has just come out with a set of Passions journals, designed specifically as Book, Wine, Music, Wellness, Recipe, and Film diaries. Unlike previous Moleskine diaries, these have embossed covers and come with stickers, icons, themed pages, tabs, and three cloth ribbons. They’re running a giveaway right now for people who send them some Facebook, Twitter, or comment love. If you’d like the chance to get one free, check out Moleskinerie!